A bark beetle infested Ponderosa Pine. This story appeared in the LA Times, http://www.latimes.com/local/california/la-me-dying-forests-20151020-story.html. Biologist Greg Asner uses spectrometer and laser technology to assess the health of California’s forest from the air. He creates 3D imagery that displays the level of stress within the trees. Our forests are under tremendous stress from having too many trees per acre and not enough resources to go around. The drought is the straw to break the camel’s back. 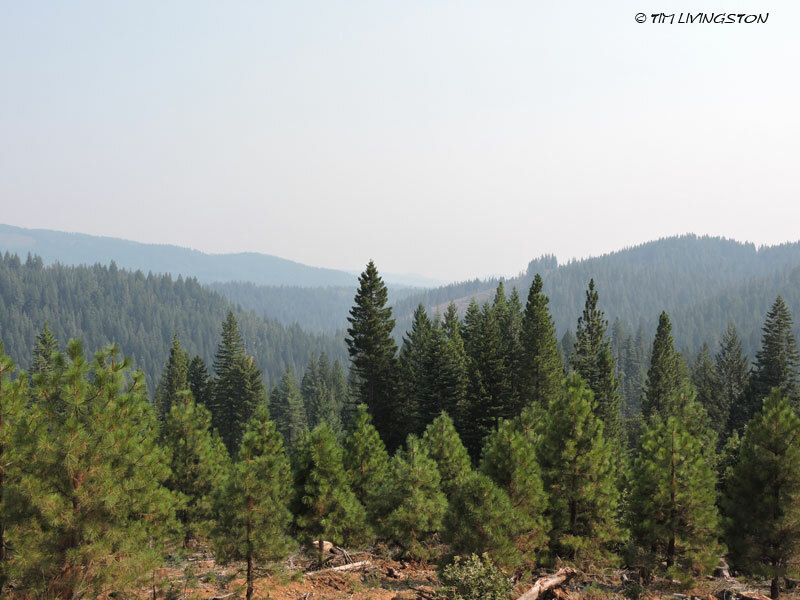 It really demonstrates the need for active forest management to help keep our forests healthy. 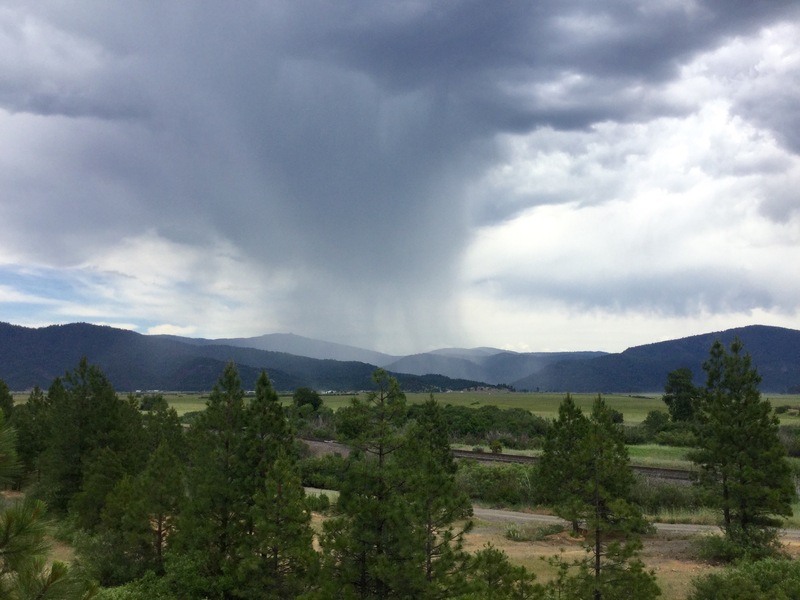 Looking across Indian Valley at a mountain thunderstorm. We’ve had many storms, already this year. Fortunately, they’ve been moisture laden. 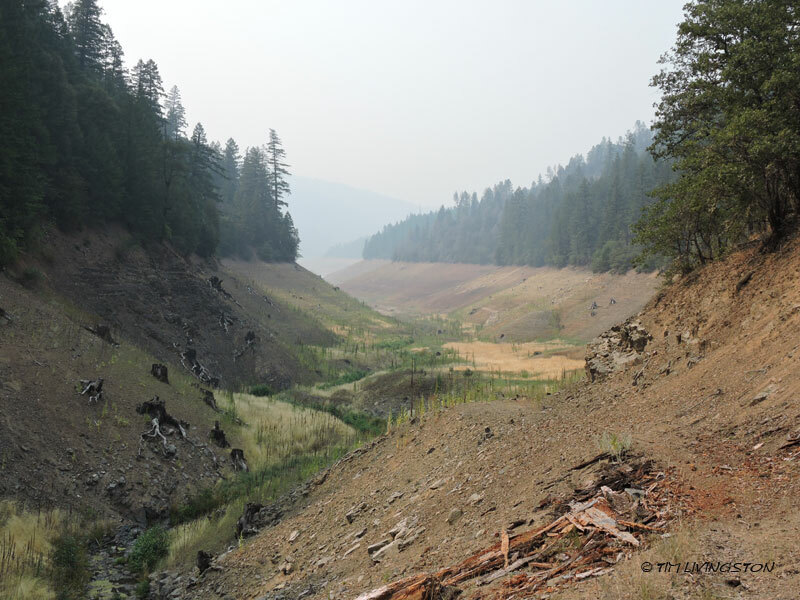 Dry lightening is a huge concern in the Sierra Nevada, especially in a dry year like this. Our long term weather prediction is for high thunderstorm activity in July and August. Hopefully, a healthy dose of rain goes with it. 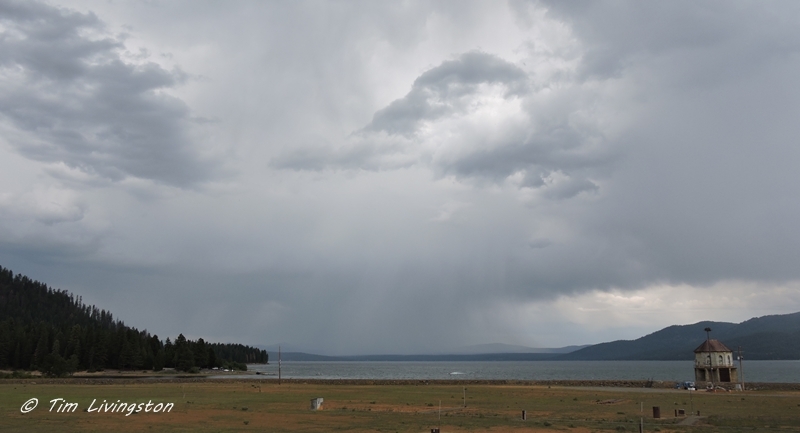 A downpour coming across Lake Almanor. 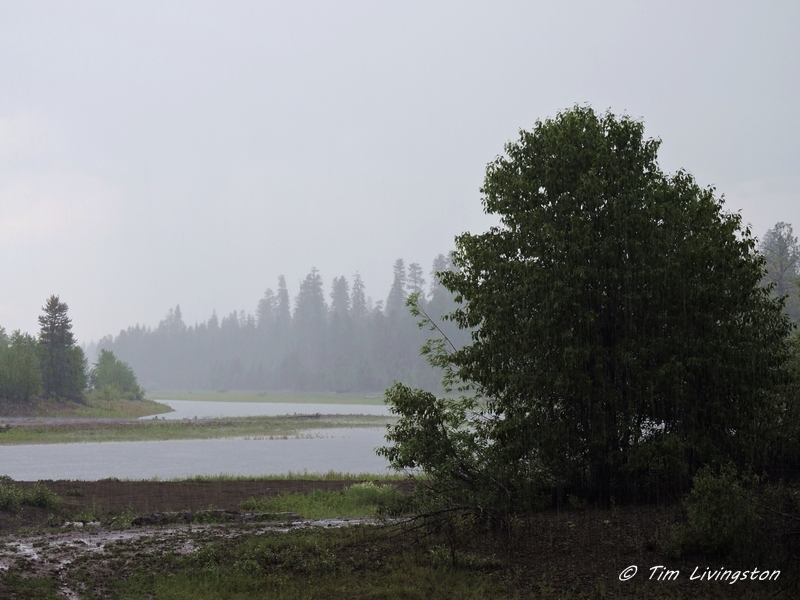 Unfortunately, thunderstorms are so spotty when it comes to rain. As of yesterday “sleepers” started popping up all over Northern California. The sleepers are the smoldering lightning strikes that flare into a full blown fires when the temperatures rise and humidity falls. Most of the lightning fires have already been extinguished by the fire services, but there are always a few that get away. Today we are suppose to reach 103 F in the valley and 108 F tomorrow. 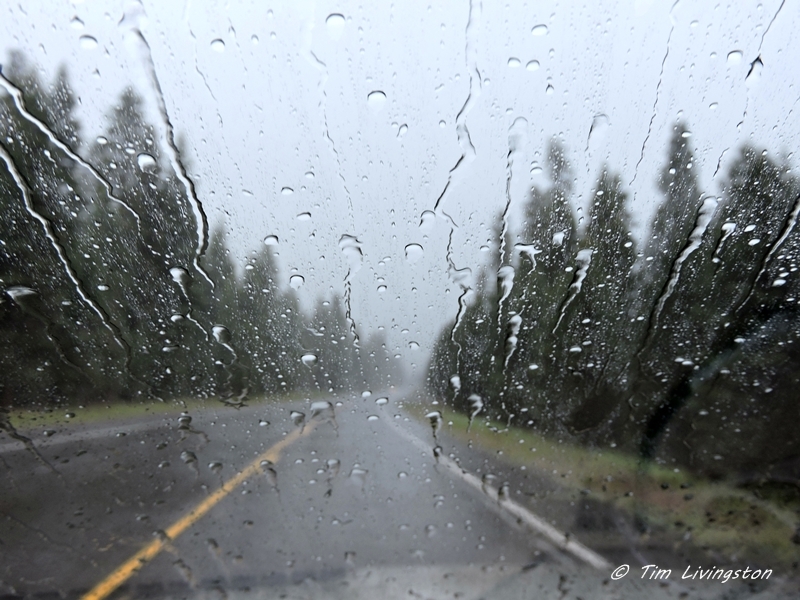 Despite the rain, it’s fire season in Northern California. 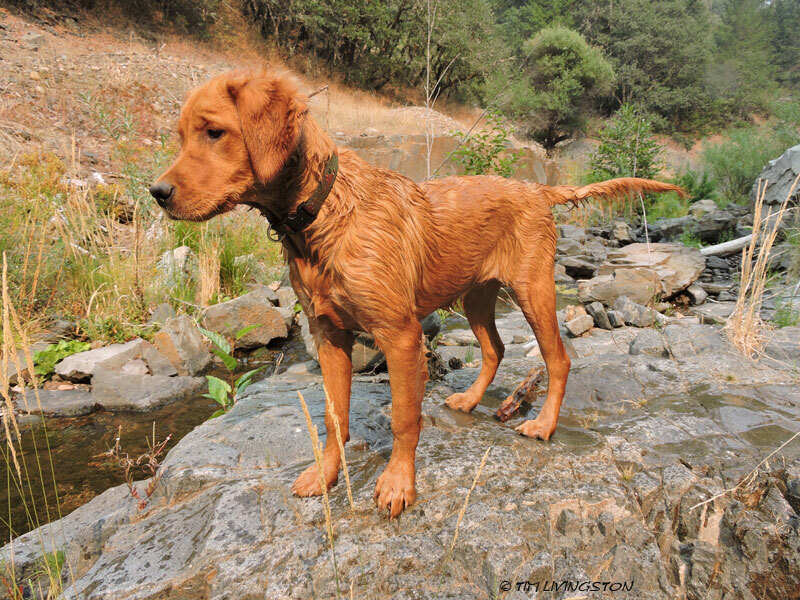 This story appeared in the May 2015, California Forest Pest Council newsletter. 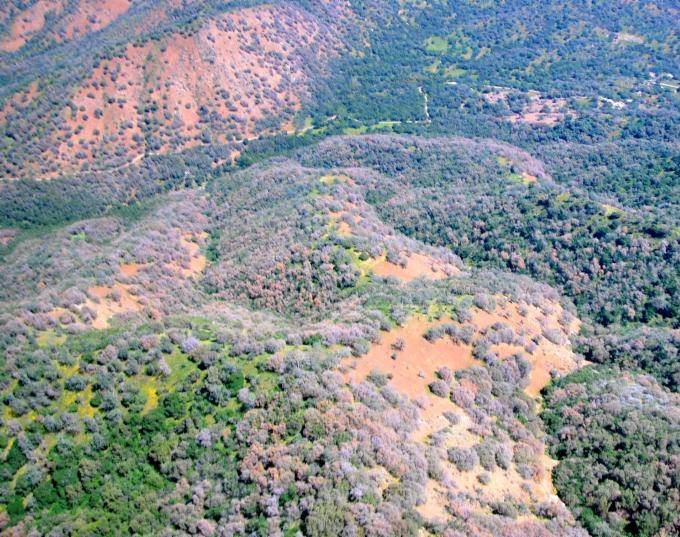 The effects of the drought are manifesting in Southern California forests through massive tree die-off. 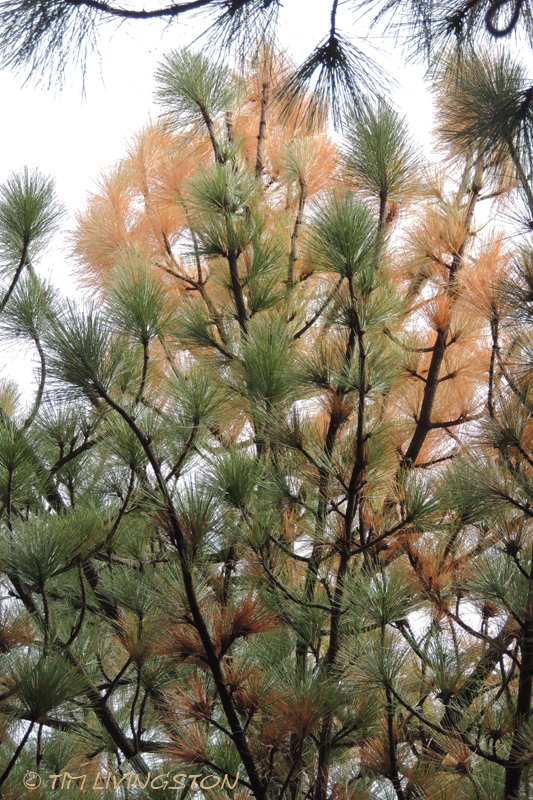 2015 Pine Mortality Near Tehachapi. By J. Moore, USFS. The US Forest Service, Forest Health Protection conducted special early season aerial surveys of Southern California and the Southern Sierras in April to get a preliminary assessment of forest conditions in some of the most severely drought-impacted areas of the state. The Southern California survey covered more than 4.2 million acres and identified approximately 2 million dead trees over 164,000 acres. It included most of the Cleveland, San Bernardino, Angeles, and Los Padres National Forests as well as Pinnacles National Monument and nearby private lands. Noteworthy finds included a substantial increase in pine mortality on the Descanso Ranger District of the Cleveland National Forest as well as a large area of scattered live oak mortality south of the Palomar Ranger District. Increased pine mortality was also observed on the San Jacinto District, and large areas of live oak mortality were observed along the southern extent of the Angeles National Forest. In Los Padres National Forest, expanded severe Jeffrey and pinyon pine mortality was observed, and private lands north of Pinnacles National Monument had extensive areas of Coulter and gray pine mortality, as well as live oak mortality, for a third year in a row. Hardwood Mortality in the Sierra Foothills. By Z. Heath, USFS. The Southern Sierra survey included more than 4.1 million acres and identified nearly 10½ million dead trees over 835,000 acres. 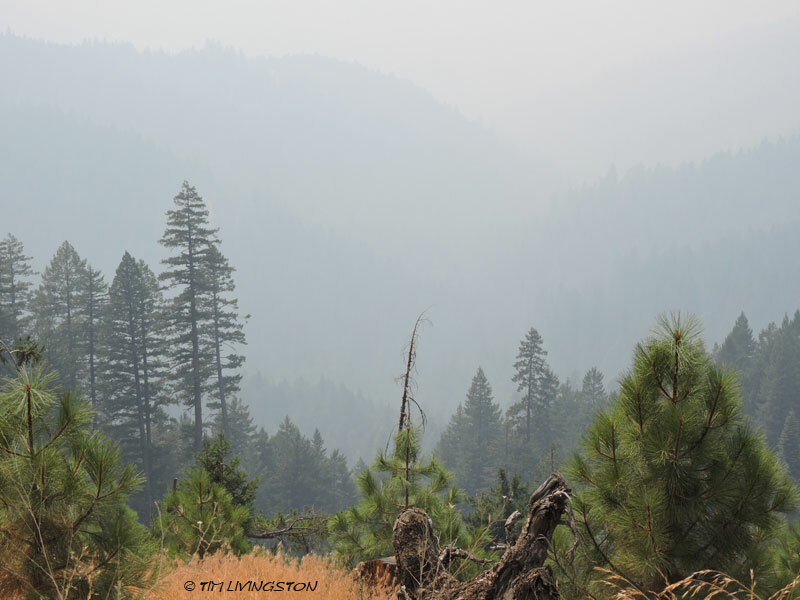 It covered western portions of Stanislaus, Sierra, and Sequoia National Forests and Yosemite and Sequoia-Kings Canyon National Parks as well as the Tehachapi Range and nearby private lands. Mortality in the Southern Sierras was quite severe in many pine species, especially ponderosa and pinyon at lower elevations and to the south, and foothill mortality was often widespread and severe, especially in ponderosa and gray pine. 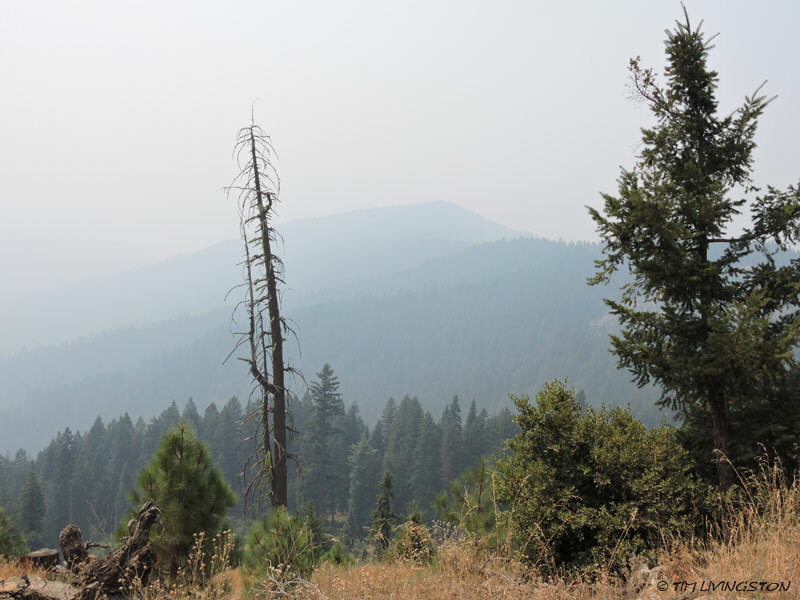 Mortality on the Stanislaus roughly doubled since July 2014 in the areas resurveyed this spring, with severe pockets of ponderosa and other pine mortality seen in the low areas to the south. 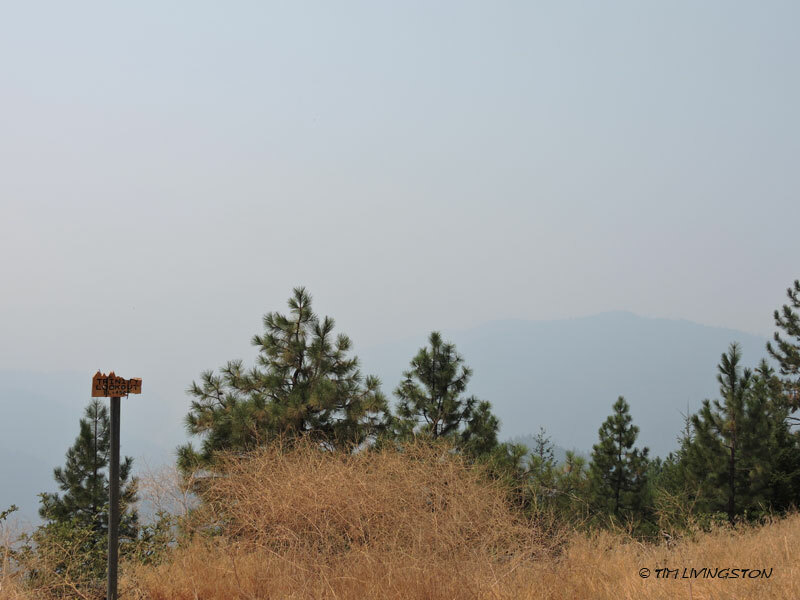 On the Sierra and Sequoia National Forests, western pine beetle-associated pine mortality was common and severe at lower elevations, with an estimated 5 million trees killed, compared to about 300,000 trees last year in the same area. 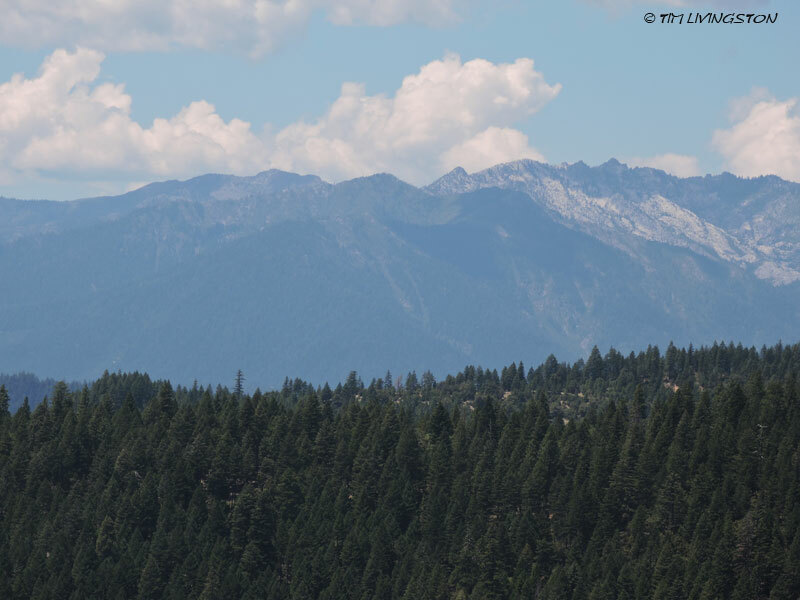 Southeastern portions of the Sequoia National Forest and wilderness areas further east also had intense pinyon mortality, and on the Tehachapi Range and private lands along the Sierra foothills, extensive areas of pine mortality were common. I took this picture of Lassen Peak on January 8th, 2013. In California we’re in another severe drought. I took these two pictures of Lassen Peak in January, one this year and the other last year. You can see the stark difference. Lassen Peak is the southerly most of the major cascade volcanoes and is 10,463 feet (3,189 M) tall. Last year we had over 20 inches of rain at this time, and this year we have less than 4 inches. The snow pack is almost nonexistent. Cattle ranchers are having a hard time. There’s no new grass and the foothills are as brown as July. The price of hay is going to go through the roof forcing many of the ranchers to sell off their cattle. Our ski resorts are having a terrible winter due to the lack of snow. It’ll be a tough year for these folks and the long term forecast is grim. Expect the California water war to once again rear it’s ugly head. Lassen Peak taken on January 22nd, 2014. 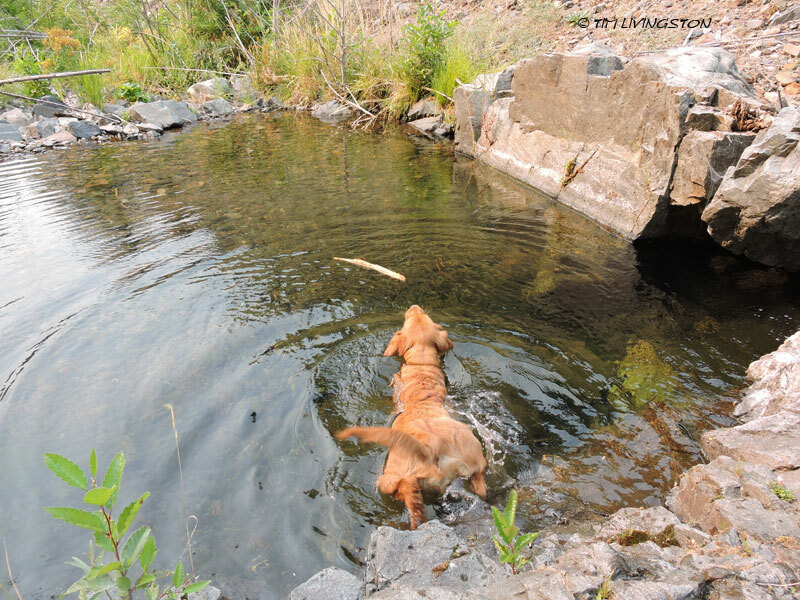 This summer we are expecting our share of challenges in the woods. Drought stress will cause tree die off. This will create prime conditions for bark beetle infestation as the trees become more and more stressed. Worst of all will be the fire danger. I think red flag fire warnings will be the theme of the this summer. Blitz rolls in the snow while she still can.